This clip will once again divide us all. 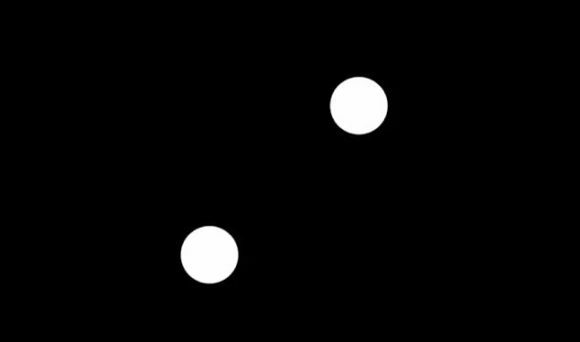 As Reddit has covered this, an optical illusion of four blinking dots. Firstly what we can see with our naked eye are white dots on a black background. They are played at various speeds to trick your eyes. Some see it oscillating from right to left while others see them moving up and down. At different speeds, the illusion also appears to fool you. In a slower version, it is easier to see all the different movements the dots could be making. In a sped-up frame, the dots almost appear to be blinking. The illusion is an example of the stroboscopic and frequency effect when a moving object is represented by a series of short samples distinct from a continuous view. Prev How Do You Remove One Glass Off This Plate?